This medal on suspension ring depicts the portrait of Charles V, Holy Roman Emperor (b. 1500; Emperor 1519; d. 1558) in full length, seated on a throne. He is holding an orb and a sceptre. 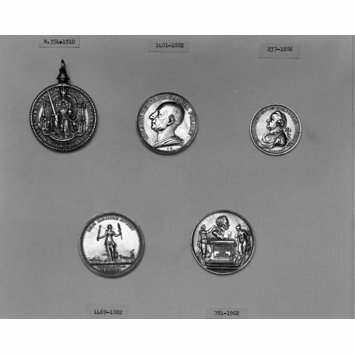 The medal was struck in commemoration of the 50th birthday of Charles V.
Cast in bronze or lead, the Renaissance portrait medal commemorated individuals or events. They were used as gifts and mementoes and were inspired by Roman coins, with their portraits of rulers and allegorical representations on the reverse, eagerly collected by humanists. Many specialist sculptors were attracted to the art form. 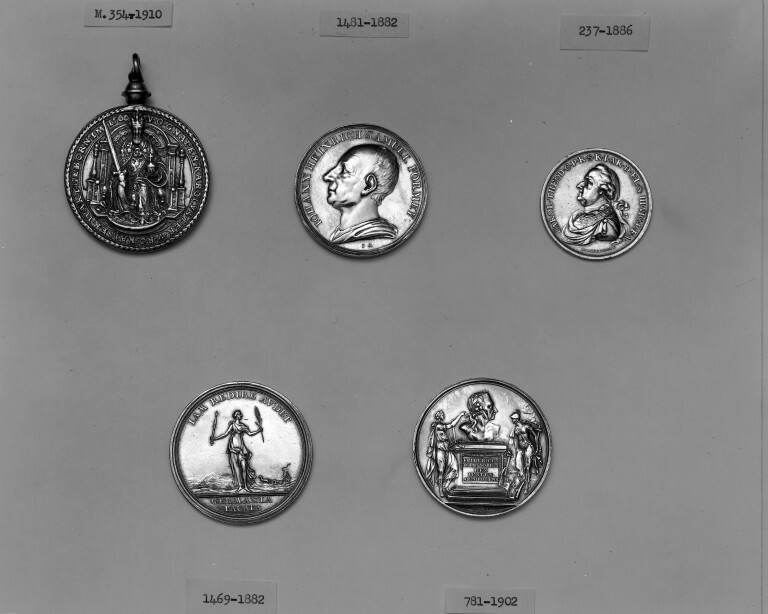 It was recognised that there was a ready market for medals among the growing class of collectors, usually members of the intelligensia or the gentry, who were attracted to small-scale works of art. The medal format proved ideal for this type of personal and intimate object. Obverse: Charles V, full length, seated on a throne. holding an orb and sceptre. Inscription. Reverse: Christ seated on a throne holding Orb and Sceptre. Inscription. Bought in 1910 for £1 10s. Commemorates the 50th birthday of Charles V.